History books often emphasize presidents, generals and chiefs. This film is about everyday people. It transports viewers to the West of 100 years ago, through riveting tales of farmers and teachers, laundresses and berry pickers. 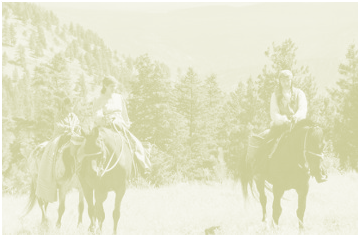 The film vividly combines the stunning landscapes of central Washington and British Columbia with historical photographs and engaging reenactments of women’s daily activities. How Can I Keep on Singing? shares the stories of European settlers and of the indigenous people whose lives were changed forever by their arrival . It was inspired by the Pulitzer Prize-nominated poetry of Jana Harris, whose writings are based on the journals and letters of early settlers. The stories about indigenous women are drawn from the published work of Jeannette Armstrong of the Penticton Indian Band and from the autobiography of Mourning Dove, a Colville woman who lived from 1888 to 1936. In a rich tapestry of sights and sounds How Can I Keep On Singing! presents spare yet gripping stories of family life and the vital role played by women. An unforgettable soundtrack includes original compositions by composer and nationally known cellist Jami Sieber, traditional Norwegian folk music, and present day music from members of the Okanagan Nation. The result offers a new perspective on the diverse cultural heritage of the West as well as an intimate and deeply textured study of the contributions of women.